Breathe new life back into your legacy S-Net systems with this SNet-to-USB interface module. It is fully compatible with the Isolated Measurement Pods (IMPs) originally from Solartron Instruments, and allows the IMP system to be used with modern processor technology. 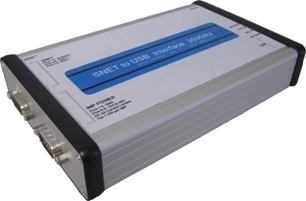 The SNet-to-USB interface unit, designated the 35954U, is designed to allow users of modern processor technology, including Laptops fitted with universal interface bus technology, to continue to take full advantage of the robust and well proven IMP/IMC based data acquisition technology.